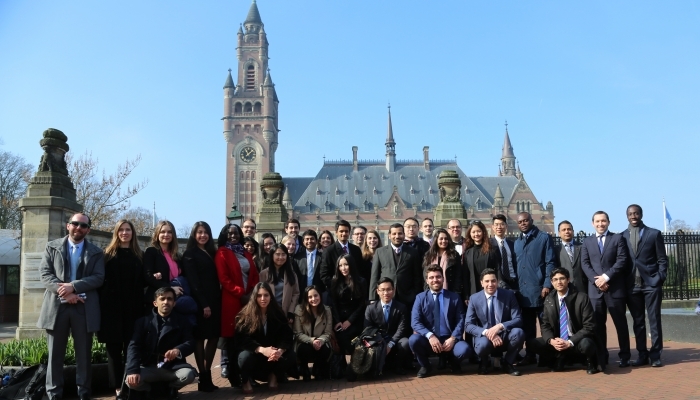 The MIDS 2018-2019 study trip to The Hague took place on 21 and 22 March. During these two days, the current MIDS students had the opportunity to visit the library of the Peace Palace, the Permanent Court of Arbitration (PCA), the International Court of Justice (ICJ) and the Iran-United States Claims Tribunal. During each of these visits, the students were able to interact and participate in discussions with legal officers of the PCA and the Iran-US Claims Tribunal, as well as with Judge Abdulqawi A. Yusuf, President of the ICJ.